Successor to the MX7CS model, the Tecton CS device is light enough for scan-intensive picking, yet able to operate in extremely cold environments. It takes cold chain computing leadership and turbocharges it with a fast PXA 320 processor running the available Microsoft® Windows® Mobile 6.5 or CE 6.0 operating system. The Tecton CS mobile computer provides enhanced performance without sacrificing any of its field-proven features. Designed with low-temperature batteries and specialized heated screens, the Tecton CS mobile device moves from the freezer to the dock and back again condensation-free – even in the hot summer months. The device's backlit keys and a brilliant display aid visibility in dark corners. And the Tecton CS mobile computer never needs a desiccant pack or heated boot battery change out – maximizing your productivity all year round. 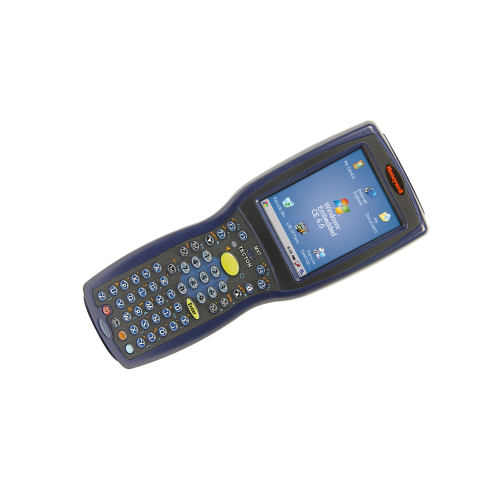 You can also customize the Tecton CS mobile computer to fit your users and processes, with complete backward compatibility with our MX7CS accessory portfolio. Find out more about what your cold storage team can accomplish with Tecton CS mobile computers and Honeywell workflow solutions.